Pac Div Feat. 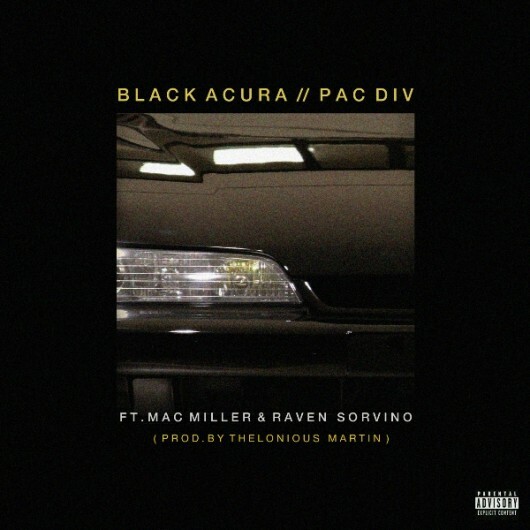 Mac Miller & Raven Sorvino — Black Acura : The Super Talented Crew Pac Div realesed not too long ago this new track featuring the Pittsburg MC Mac Miller & Raven Sorvino on a production from Thelonius Martin beat. We will be Patiently waiting for their upcoming project GMB (Gabe, Mike, Bryan) which is set to be out on October 16 2012.